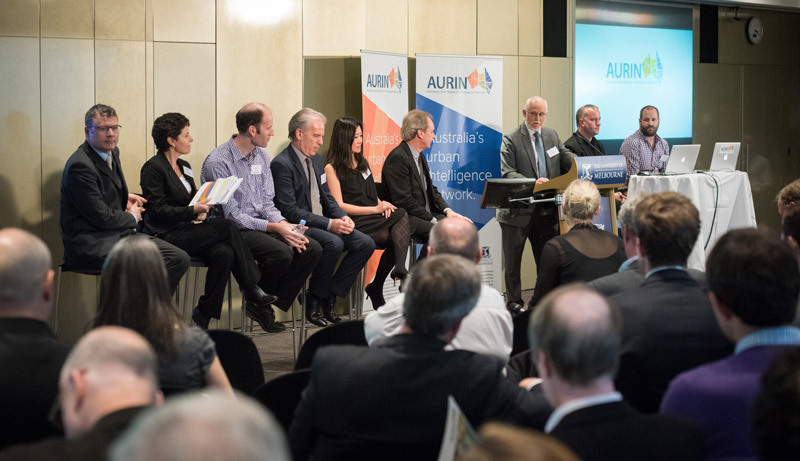 On 13 October 2014, the official launch of the Australian Urban Research Infrastructure Network (AURIN) was held in Melbourne. 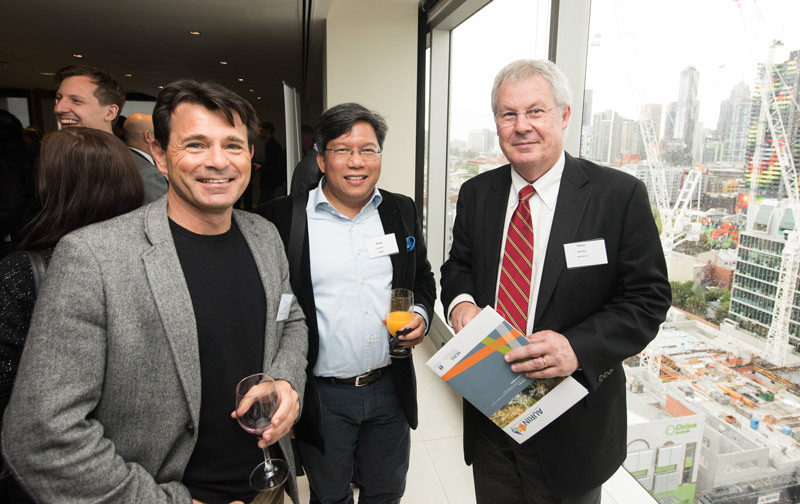 Dr Ron Sandland performed the launch, along with the Vice Chancellor of the University of Melbourne, Professor Glyn Davis, and the Chair of the AURIN Management Board, Mr David Gray. 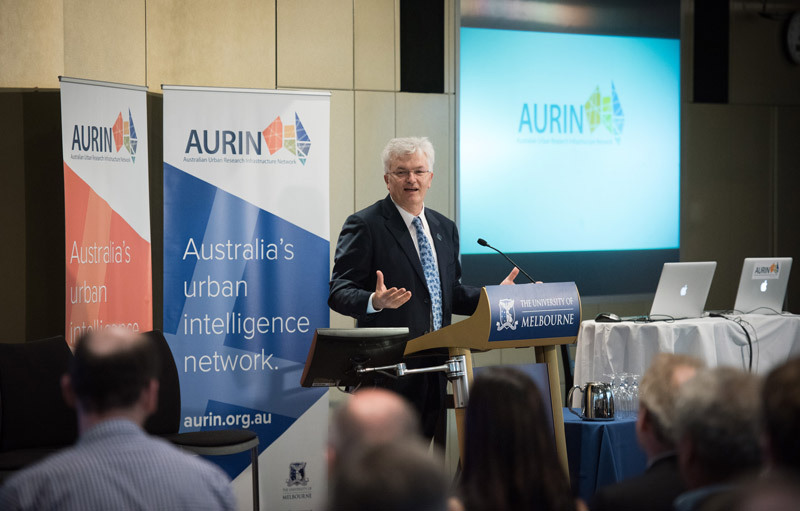 The Australian Government has invested $24 million in the AURIN initiative that will provide access to data and eResearch tools that will enhance urban settlement research in Australia and inform policy to help plan the future of Australia’s cities and towns. Where are the hotspots for mortgage stress and the locations of affordable housing in Sydney? What makes a walkable neighbourhood in Perth? What makes Melbourne the “world’s most liveable city”? Can Townsville secure the water and power to needed sustain a doubling in population? How can employment issues be managed in Adelaide as the industrial sector restructures? AURIN gives access to thousands of data sets – from Australian Property Monitors (Domain.com.au) to the Australian Bureau of Statistics, from Geoscience Australia to city councils. It allows researchers to jump in and ask big questions of big data without first spending years getting access to the data. 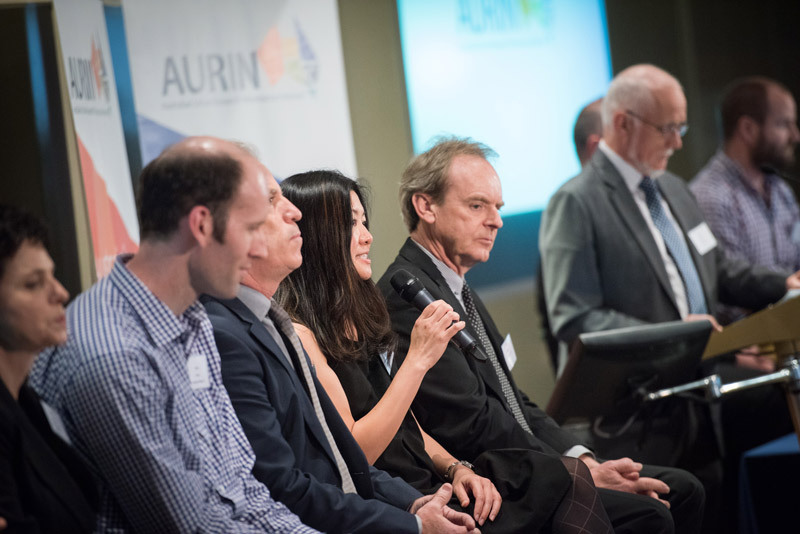 Read the AURIN launch media release online. 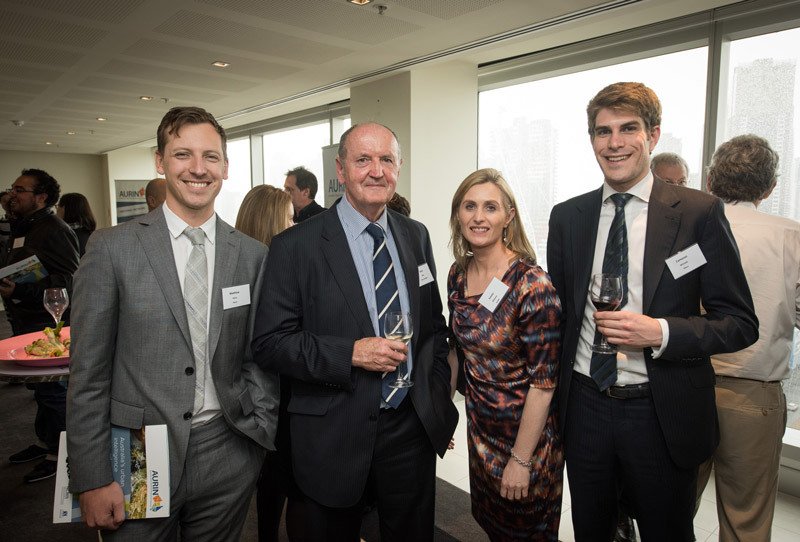 It’s an exciting time for urban research and policy analysis in Australia. We’re making the choices today that will shape the future of our cities and towns, and we now have the data and analytical tools to provide a solid foundation for these choices. In the coming weeks, we will be sharing more stories of AURIN in action. We encourage researchers, policy makers and data custodians to join us in our efforts to share the data and put it to use to build a better tomorrow. 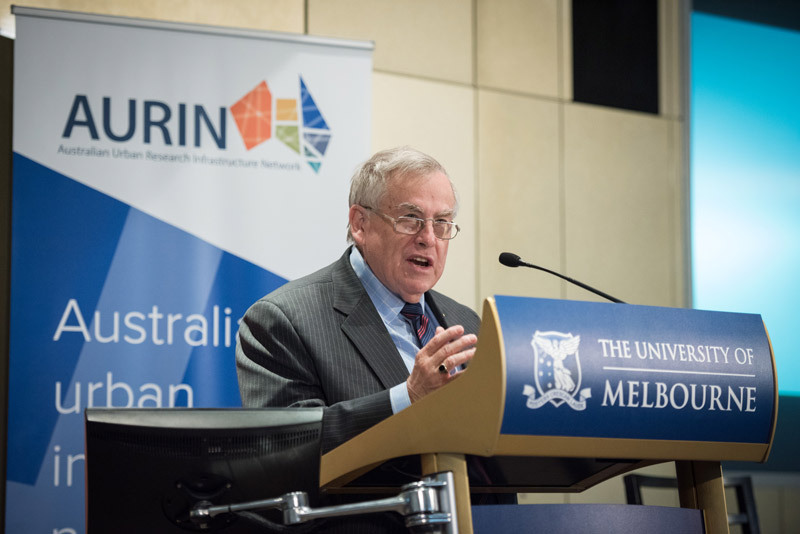 For more information about AURIN, follow us on Twitter: @aurin_org_au or sign up to The Auricle, our e-newsletter.